The school bell rang, and Vendalyn Tolbert exited the building of Cane Ridge High School. Summer break was finally here, and she was prepared to spend the next few months earning a paycheck and not in the house on the couch. Last year, Vendalyn’s family moved, and what she had known for most of her life changed overnight. Her friends would no longer be down the street — rather, miles away. Now she would have to get out of her comfort zone and develop new relationships with other students, teachers, and people in the community. So she decided to apply for a position at a local grocery store but fell short when they asked if she had previous work experience. “My lack of work experience was the only reason I didn’t get hired,” said Vendalyn. This is the case for many youth today. Often, they apply for summer positions but fail to get hired because they lack previous experience. After not getting hired for a position last year, Vendalyn lost hope in finding a job this summer. 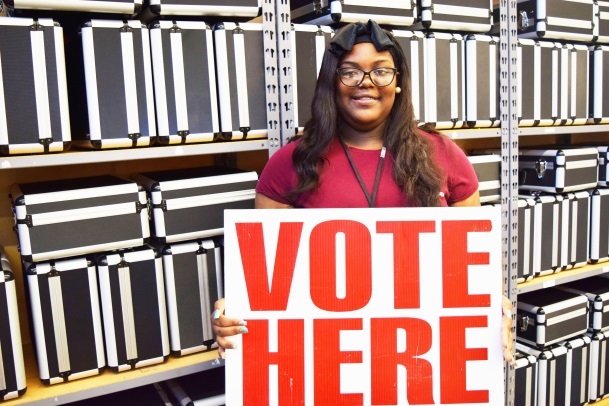 But, Vendalyn now has a summer job as an intern at the Davidson County Election Commission through Opportunity NOW. “I was so excited, because I was for sure thinking I wasn’t going to get anything,” she said. Opportunity NOW has created a chance for youth across Nashville, like Vendalyn, to get their first job. The investment of its community partners has had a major impact on the program and youth like Tolbert. Employers have posted over 10,000 positions on the Opportunity NOW job portal, offering youth a variety of employment options. In return, employers create a diverse workplace while giving youth a chance to cultivate skills they are looking for in a future workforce. In addition, Opportunity NOW programs provide youth with paid vocational experience. Vendalyn, the oldest of four children, finds herself serving as a role model for her siblings. This summer she looks forward to further developing her leadership skills by learning how to better communicate with others. Vendalyn expects to graduate from Cane Ridge in 2018 and has plans to attend college. Realizing her goals, she understands the significance of her first job. She comes to work excited for her day and is ready to work hard to support her team. She looks forward to learning as much as she can to be able to gain more of her independence this summer. Thanks to Opportunity NOW, Vendalyn and youth alike have the opportunity to develop the skills necessary to prepare for life in and outside of school. Youth across the city are met with the same difficulties as Vendalyn. They simply want a chance to be employed and proud of what they have accomplished. Through Opportunity NOW, youth have that chance and are ready to rise to the occasion. Opportunity NOW is a coordinated initiative launched by Nashville Mayor Megan Barry and the Nashville Career Advancement Center to provide young people in Davidson County access to employment. The initiative was created based on recommendations from the Mayor’s Youth Violence Summit as a way to connect youth to opportunity and to hope. 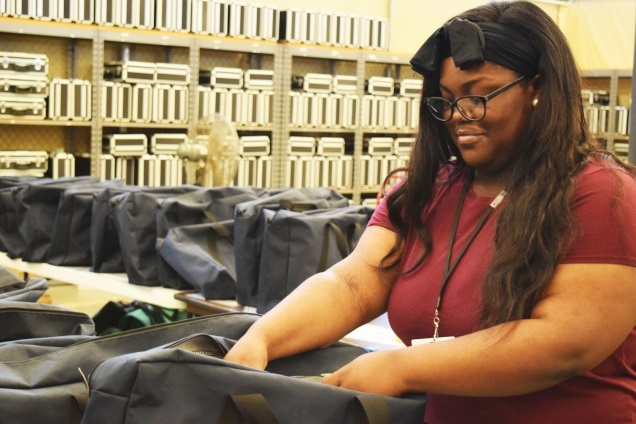 Opportunity NOW is the much-needed system for delivering employment and employment-like opportunities for young people in the Nashville area, while benefiting the local economy. For more information about Opportunity NOW, visit on.nashville.gov.